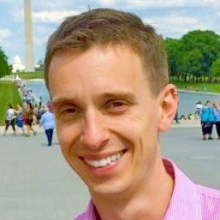 DC CFAR investigator, Brad Jones, PhD, has recently been awarded an R01 from the National Institutes of Health entitled, "CTL-Mediated Elimination of Replication Competent Vs. Defective HIV Proviruses from Natural Latent Reservoirs: Roles of Antigen Specificity and Functional Characteristics". Although modern therapies have improved the outlooks for people living with HIV/AIDS (PLWHA) they are unable to cure infection, leaving these individuals burdened by a lifelong commitment to expensive antiretroviral medication. A major obstacle to curing HIV infection is the establishment of reservoirs of hidden or 'latent' virus which evade the immune system and can re-seed infection if an individual stops antiretroviral therapy. This is theoretically achievable by combining 'latency reversing agents' (LRAs) capable of exposing hidden virus with immune effectors such as killer T-cells that can then eliminate these cells through the so-called 'shock and kill' approach. This study will test different combinations of HIV-specific killer T-cells and LRAs, in the hopes of identifying combinations that are able to more effectively target intact inducible proviruses. In the process of perturbing these natural HIV reservoirs, it will also test a wide range of reservoir measurement assays to determine which best reflect depletions in intact inducible proviruses versus of total/defective proviruses. The hope is to identify the features of immune effectors that are critical to achieving complete eradication of infectious reservoirs, and provide critical guidance to future clinical trials aimed at curing infection.